Homegrown hospitality unicorn OYO has received an investment of $75 million (Rs 519 crore at current exchange rates) from San Francisco-based home-sharing marketplace Airbnb. Gurugram-headquartered Oravel Stays Pvt. Ltd, which operates OYO, secured the sum late last month, show its filings with the Ministry of Corporate Affairs. The firm’s current valuation stands at $4.3 billion, as per TechCircle estimates. OYO had claimed a valuation of $5 billion last September while announcing that Japanese conglomerate SoftBank was leading an investment of $1 billion. The development comes less than a fortnight after both Airbnb and OYO had confirmed an investment as part of the latter’s Series E round without disclosing its value. Media reports had initially pegged the investment at $200 million. A person in the know told TechCircle that Airbnb's investment marked the closure of OYO's Series E round, which had already been oversubscribed. While Airbnb is likely to invest more in OYO, it will be dependent upon how the collaboration evolves going forward, the person added. Email queries sent to OYO and Airbnb seeking clarity did not yield a response till the time of publishing this report. Airbnb’s investment in OYO is aimed at expanding its offerings from staple home rentals by gaining access to the Ritesh Agarwal-led firm’s inventory of franchised and leased hotels. In India, it faces stiff competition from OYO, which initially aggregated hotel rooms under its brand. Later, OYO consolidated its operations under the franchise model, where it controls the inventory and decides the pricing along with its exclusive hotel partners. Greg Greeley, president of homes at Airbnb, had said that markets like India and China are some of its fastest-growing ones. Airbnb currently operates in 191 countries, providing homestays that range from private rooms to manors and islands. In February, it had launched ratings-based Plus Homes in India. The company said that more than one million Indians travelled with Airbnb globally in 2018 and that there had been a 115% increase in Indian listings over the past year. 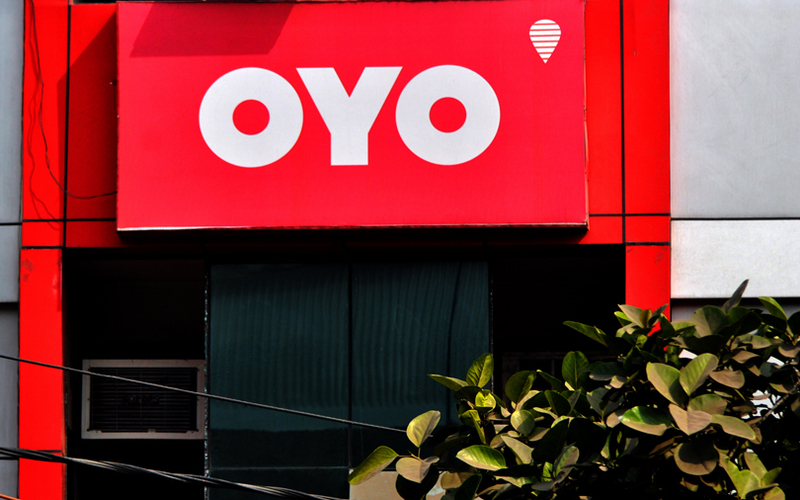 For OYO, the development comes amid rapid expansion both within India and overseas as it seeks to become a full-stack hospitality services firm. In India, OYO currently operates in more than 259 Indian cities across 1.75 lakh rooms in 8,700 hotels and homes via a mix of both franchise and lease models. It has committed to invest Rs 1,400 crore (around $200 million) in its Indian and Southeast Asian operations for the current calendar year. Last November, it appointed budget carrier IndiGo’s former president Aditya Ghosh as its chief executive for India & South Asia. OYO has also aggressively spread its wings to overseas markets over the last one year or so, launching properties across Southeast Asian nations such as the Philippines, Indonesia and Japan. It has also set up a presence in the UK and Saudi Arabia, among other countries. Agarwal recently identified China, Southeast Asia and the Middle East as its core overseas markets. Earlier this month, it launched its hotel accommodation offerings in Japan through a joint venture with SoftBank Corp and the Tokyo-headquartered conglomerate’s SoftBank Vision Fund. OYO had in February raised $100 million from Chinese ride-hailing firm Didi Chuxing as part of a $1 billion Series E round www.techcircle.in/2019/02/14/oyo-marks-close-of-1-bn-funding-round-with-didi-chuxing-investment. SoftBank, Singaporean ride-hailing company Grab, Lightspeed Venture Partners, Sequoia Capital and Greenoaks Capital had contributed the initial $900 million to the round which valued the firm at $5 billion. OYO has half-a-dozen offerings in its portfolio: OYO Rooms, OYO Collection O, OYO Townhouse, OYO SilverKey, OYO Capital O, OYO Palette Resorts and OYO Life. However, the company has said that budget accommodation remains its core offering. OYO also entered the online food business recently by launching private labels on delivery platforms Swiggy, Zomato and Uber Eats. It also plans to venture into the cloud kitchen and shared offices sectors. Oravel Stays Pvt. Ltd, which operates OYO, reported a three-fold rise in operating revenues to Rs 415.78 crore in the financial year 2017-18 while its losses remained flat.